Top satellites work separately in a stereo configuration(placed on tripods or installed with WB-44 accessory) or connected together in mono configuration. The enclosure of both satellites embeds a metal lock system assuring perfect top to top matching and electrical connection. One of the two satellites receives the signal from the sub and relaunch it to the companion top. The built-in Bluetooth module receives stereo audio from portable devices managing the signal in a separate stereo channel. The balanced AUX/MIX output serves as a direct link or, alternatively, as an Aux output for a stage monitor or another speaker. When in Double Column Mode, this output acts as a source for another ES1203 system providing Left or Right signal. 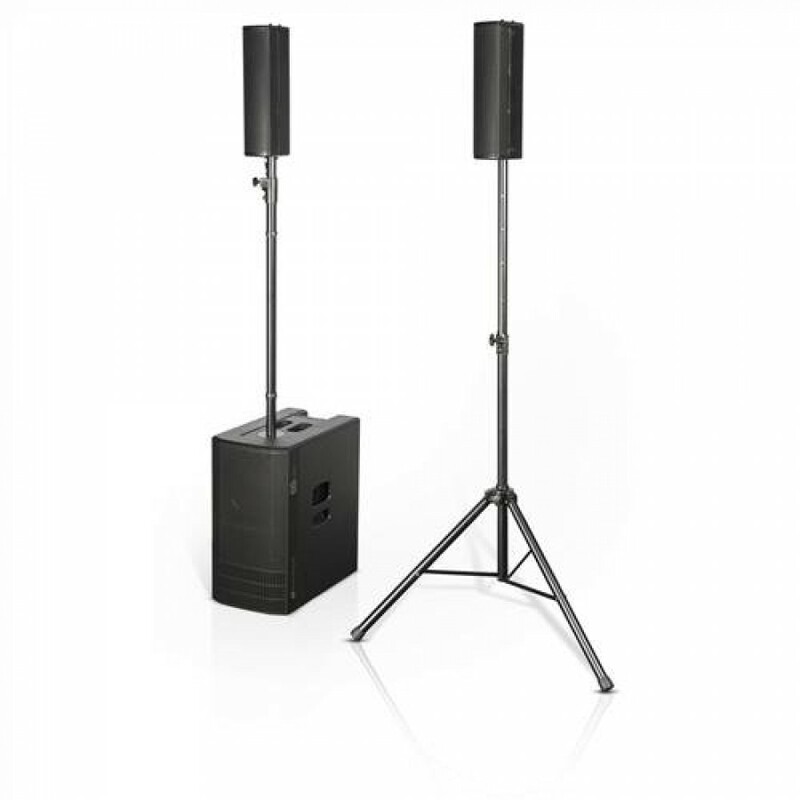 When used in Mono mode (as well as Double Column Mode), the system can be completed with DP-ES1203, a wooden pole which levels out the overall design resulting in an elegant, unobtrusive look which perfectly fits permanent installations. 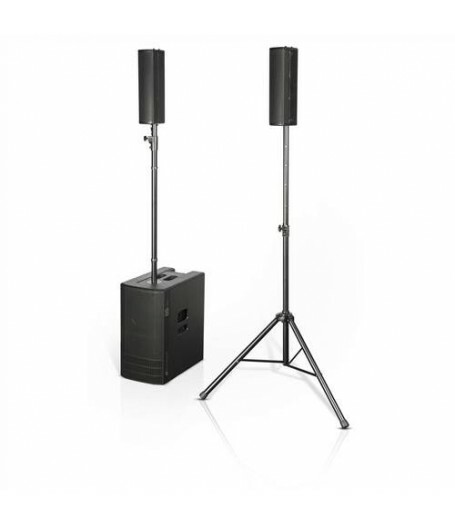 The ES1203 bundle comes with sub cover, a bag for tops, a telescopic 35mm pole, 2 7m speakon cables and power cable.